So what are GMOs anyway? | That's Bad For You! So what are GMOs anyway? 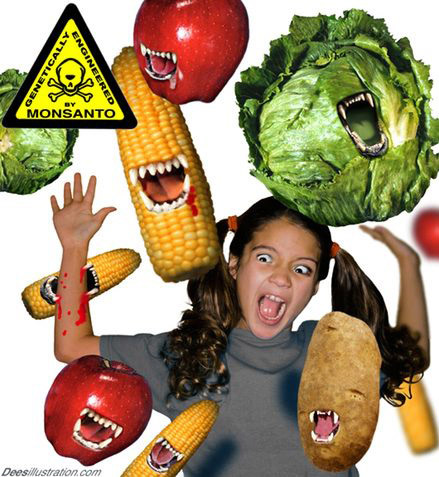 GMOs (Genetically Modified Organisms) are my pet peeve when it comes to foods that are bad for you. What’s sad is that these are our everyday foods that we consume. If you’re not shopping organics, you’re shopping GMOs. It’s definitely a challenge trying not to consume GMOs because they’re everywhere but you can at least learn about 10 GMOs you need to avoid. They’re bad for you! This entry was posted in GMOs and tagged bioengineering, food safety, GMOs by thatsbad4u. Bookmark the permalink.